Last evening at Science World, the top 25 most innovative companies in British Columbia gathered to celebrate their achievements in creativity, entrepreneurship and technology at the NEXTBC 2015 Awards & Showcase Gala. 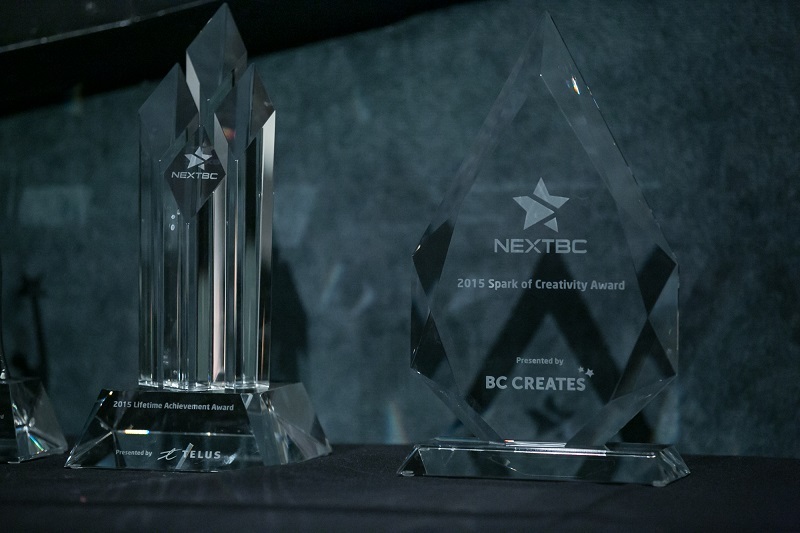 The Spark of Creativity Award at NEXTBC 2015. Seated inside the Omnimax Theatre, over 400 guests watched as the winners were revealed. BC Creates was there to recognize a project that raised the bar on creativity, ingenuity and telling a story on the internet. Agentic Commnications was the first-ever recipient of the Spark of Creativity Award for their work on the High-Muck-a-Muck website. The interactive portal allows visitors to learn what it was like for Chinese immigrants coming to BC in the early part of the 20th century. By playing with a lottery card that represents the real-life luck of the draw system that was used to decide which immigrants could come to Canada, you can reveal videos and oral histories about the people behind the statistics. Poems by Canadian laureate Fred Wah are also included on the site to further enhance the emotional journey of the Chinese immigrants. The Spark of Creativity Award recognizes an exceptional achievement by a BC individual, company or organization for its creative work in the past twelve months. 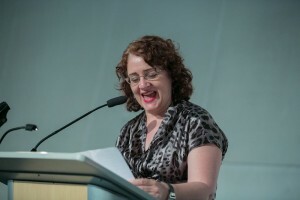 Factors that go into the judges’ decision include the originality of the work, its appeal to include a wide audience, accessibility and approach to using technology while not overlooking the importance of human connection. Sylvia Skene from BC Magazines presents the Spark of Creativity Award at NEXTBC 2015. Presenting the award on behalf of BC Creates was Sylvia Skene, Executive Director of the Magazine Association of BC. 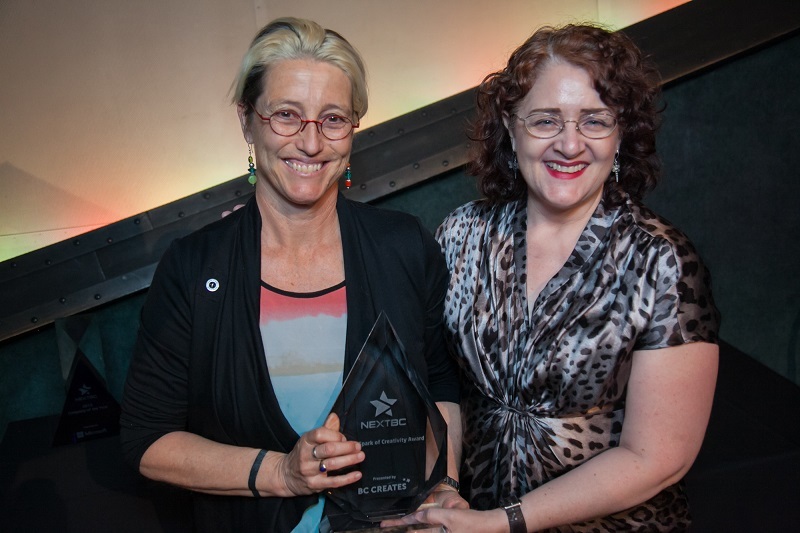 Nicola Harwood, the High-Muck-a-Muck creative lead, accepted the award on behalf of the Agentic team.